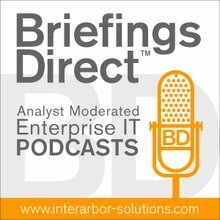 The next BriefingsDirect case study interview explores how American Electric Power improves their financial processes and buying operations using Ariba Dynamic Discounting. BriefingsDirect had an opportunity to uncover more about about such new, agile business services at the recent 2014 Ariba LIVE Conference in Las Vegas when we spoke to Rick Gray, Senior Treasury Specialist at American Electric Power in Columbus, Ohio, and Drew Hofler, Manage Cash Solution Marketing Director at Ariba, an SAP company. The discussion is moderated by me, Dana Gardner, Principal Analyst at Interarbor Solutions. Gardner: Tell us about your organization and how you came to be using Dynamic Discounting. Gray: American Electric Power is an electric utility, one of the largest investor-owned electric utilities in the country. We’re in 11 states, and we have five million customers. We have gross revenues that were over $15 billion last year. So, we’re pretty well-sized. We started to look at our expenditure cycle, the whole purchase-to-pay (P2P) process, and had an independent consultant in to look at that and to give us some strategy on how we can improve. Part of it was to do the e-invoicing, the e-purchase order. So we were looking at different tools and companies to provide that, and Ariba was the one that came out, and we selected them. Part of the justification for that whole project was the increase in early-payment discounts. That’s what got the ball rolling. Gardner: And to what degree are you using it? Gray: Quite a bit. When we started looking into it with Managed Services help, we saw that we had over 150 different payment terms. We looked at our days payable outstanding (DPO), which is the number of days it takes to pay our suppliers. It was shorter than the industry average, which means we were paying sooner than our peers in the industry, which caused us a little concern in that we obviously weren’t being overly prudent with our cash or gave that appearance. So part of the effort was to look at our payment terms and standardize them, and we decided to extend them a little bit to get along with the industry average. Gardner: What’s changed that makes Dynamic Discounting more relevant now across many markets and industries? Hofler: The fundamentals around Dynamic Discounting that drive it are the buyers, their not having a lot of cash on hand. Not getting return on cash hasn't changed a whole lot in the last few years. Companies still have a lot of cash, but the Fed funds rate is still very low. On the supplier side, one thing that has changed for them a little bit is that the actual credit crisis has thawed a little bit, but not completely. The thing that's really changed for suppliers, and it was more of a gradual change, is that they all see longer payment terms now from their buyers. In the old days, before 2008, net 30 was your base term. Now, net 45, net 60 is standard, and many suppliers are facing longer terms than that. Dynamic Discounting offers the great relief valve for that. It allows buyers to use their cash and earn some great return on that cash, and it allows suppliers to access early payment and lower their days sales outstanding (DSO) when they want to. The other thing that has really fundamentally changed, and I’d say it's more of an evolutionary growth that makes Dynamic Discounting more relevant than ever, is that what makes Dynamic Discounting possible is e-invoicing and the ability to get invoices approved very rapidly, so there's an opportunity for that early payment. E-invoicing has really grown in the accounts-payable world, both in the US as well as abroad. E-invoicing has become more standard, More and more people are coming into it. It's not a leading practice anymore. It’s a best practice, but there is a long way to go. But as those invoices get approved very quickly and suppliers have visibility into them, it becomes very natural for a supplier to raise their hand and say they would really like to get paid early, maybe to reduce DSO, maybe to increase cash flow, whatever their reasons, but the confluence of e-invoicing and that network visibility is really driving Dynamic Discounting. Gardner: Define for us what Dynamic Discounting is, and then also tell us what the benefits are and to whom. Dynamic Discounting simply puts the tools in the hands of the paying customer, to use their cash and earn something, and it puts the tools in the supplier hands to accelerate payment. Hofler: Dynamic Discounting, at its very root, is an early payment on an invoice that is funded by buyer cash. What makes it dynamic is that it allows suppliers, on an automatic or an ad-hoc invoice-by-invoice basis, to essentially raise their hand on a Dynamic Discounting platform by clicking a button and say they would like to get paid early, and in their control, accelerate their payment. I like to call it the bringing together of opportunity, visibility, and capability, where you have the opportunity created by e-invoicing and where now you have an early approved invoice. Visibility is through a network that allows the buyer to see where they have an opportunity to pay early and a supplier to see where they have the opportunity to be paid early. Then, there’s the capability on that network to click a button and make it happen, so that they have money in their account a couple of days later. What's really fueling it is the rise of the business network. As I said, it’s the opportunity, visibility, and capability, and it’s that visibility element, where now more suppliers are used to seeing their invoices on the network. They’re used to seeing them approved very early, and then they can take advantage of it. But one of the surprises that I see is in who offers a discount and who takes the discount on the supplier side. Logically, you would think it would be your smaller suppliers, with not much access to cash or not much access to credit, and in general, they do very much take it up. The beauty of Dynamic Discounting is that you don't have to know what your supplier is going to do or why they’re going to do it. But you will also often see very large suppliers with very large invoice discounts -- I mean in the six digits sometimes -- that will do it on occasion, because they have the opportunity and the control to do it when they want to. They will do it for other reasons, such as end of quarter to reduce their DSO or as accounting window dressing to get receivables off their books. And the beauty of Dynamic Discounting is that you don't have to know what your supplier is going to do or why they’re going to do it. You offer them the opportunity, give them visibility and the capability to do it, let them make the choice, and you will often encounter some surprises like that. Gardner: Rick, what about this notion of a business network, transparency, and having more data at your fingertips in order to benefit other processes, other financial issues in your company? Do you see this as an accelerant to the use of network information and transparency and perhaps building less risk into your overall financial situation? Gray: Absolutely. And because we were looking at our working capital and our liquidity and extending the payment terms and consolidating them, we wanted to provide our suppliers with a tool for them to be able to then give them that relief valve that Drew was talking about. So if they did need the payment sooner, that’s fine. We could give them that opportunity without losing the benefit to ourselves in the process. Part of the effort was to look at our payment terms and standardize them, and we decided to extend them a little bit to get along with the industry average. It became really important to get the buy-in throughout the company. We realize that some suppliers need the money sooner and that’s fine, and here’s the process to do that. The tool then allows the suppliers an easy way of accessing that and getting their money sooner if they need to, without reaching out to our accounts payable department or our procurement department and calling around. This was a more streamlined process for that. Gardner: One of the things that’s really interesting to me and why I think this takes off so well is that it benefits both sides. There are more information and terms available. Negotiation positions all work to their mutual benefit. Do you have any metrics of how this has benefited your organization? Do we have some opportunity to look at where the rubber hits the road? What do you get for it? Gray: There are a couple of things. This past year, we extended our days payable outstanding by two days, which doesn't sound great. On the other hand, with $1.2 billion in average daily accounts payable, that’s two days we didn’t have to borrow $1.2 billion. We even had a holiday where we didn’t have to borrow one day, but gradually that turned out. So we reduced our borrowing for that much. On the other hand, we also saw increased early payment discounts that matched that business case that we talked about later. So in that regard, we’ve done pretty well. Gardner: What should we look for in terms of next steps in making Dynamic Discounting even more powerful? Hofler: What comes next is a continued buildup of the transparency and visibility in a network that allows suppliers to see what's going on and allows buyers to tie that in together. We’re seeing people going from where they’ve started and expanding onto a platform that allows them to grow and link these things together. You’ve got suppliers, for example, that may have just been PO or may have just been a contract. We really see the tying together, not only of the desire to be paid early, but then the actual mechanics around the settling of that payment. Now, they move them into the invoice on that. Or, it may have been invoice and just contract. More and more suppliers are finding more and more reasons to come to the same network. That increases the pool of who is there to discount. The other thing that’s tied to it, and not discount specific, is the idea that it’s early payment when they raise their hand. We’re now seeing this area of what we announced at LIVE in AribaPay -- not only to allow the supplier to raise their hand to receive their payment early, but to be able to be paid in such a manner when they do that, they have full visibility into everything that went into the final dollar that comes into their account, with every invoice, every line item, every PO, so that they can reconcile it easily and quickly identify discrepancies. Gardner: And for global companies that are concerned about currencies, jurisdictions, and tax issues, this can be a big deal. Hofler: Absolutely, it can, and particularly if they have multiple invoices around payment, keeping track of the differences. You get one lump sum and it accounts for 100 invoices that might have 20 line items each. That becomes a big issue to maintain, and the more global you go, the more complex. Gardner: Of course, a recurring theme at Ariba LIVE was the networked economy -- and also the fact that you are, as part of SAP, using HANA and other analytics capabilities to bring more insight across the activities of the Ariba portfolio. I was struck when Rick mentioned that he could compare the industry standard for payable terms and therefore adjust accordingly. Are there other metrics, analysis, or even predictive value that, as an aggregator of Dynamic Discounting terms, with all privacy, security, and anonymization brought to bear, more value add when it comes to being smart about how you do this? Hofler: I couldn’t be more excited about potentially having all of the 15 years now or more of data on the Ariba Network of POs, invoices, and payment terms and early payments. All of this is brought together in such a way that we can do just that. We can take all that big data and turn it into information that’/s actionable. There is so much there, not only from the aggregate standpoint. As you mentioned, we never, ever share which supplier we discount how much, but on an aggregate basis, what are some of the trends, what are some of the indicators that a supplier would be more willing to discount? Just on the data that I’ve tracked outside of HANA, not nearly as powerful as that, you’ll see certain patterns, end of quarters, end of certain seasonal cycles. It’s not really that complicated. So that's not too bad. The challenge is getting the suppliers on and getting them engaged. Having the ability to see that for a buyer or a treasurer to then make maybe more cash available for that particular time and plan for that, they can make more cash available to handle the spike in volume of discounting. There’s just tremendous potential there. Gardner: Rick, any advice for other organizations that perhaps haven’t done Dynamic Discounting, but are evaluating it? Is there anything that you can offer with 20/20 hindsight that they would benefit from? Gray: A couple of things. One, it’s not that bad of an integration. There’s not a whole lot of movement there. It’s not really that complicated. So that's not too bad. The challenge is getting the suppliers on and getting them engaged. We actually purchased the software right when Ariba was rolling out Managed Services, so we were sort of grandfathered in prior to that and didn’t utilize the Managed Services when we implemented. We saw that our adoption rate was well below our target. Six months or so afterward, we engaged the Managed Services, and within three or four months, we had reached the original target. So that was a big help and something I would strongly encourage. Listen to and use the partners. It’s not that we’re not smart enough or don’t want to work hard enough to do it. It’s just that we just didn’t really have the time and resources. Gardner: Would you say, Rick, that this has paved the way for a different type of relationship between you and your suppliers? Has it increased collaboration and communication in any way, maybe a stepping stone towards more transparent and even more mutually beneficial business negotiations and relationships? Gray: Yes, and we’re working on that, as far as a long-term contract is going into place. That's our next target right now with the smaller suppliers, with immediate need. Now, we’re looking to make sure that that’s the culture within the company. These are the payment terms and this is the tool to utilize going forward. We’re sticking to our guns, saying that there are no exceptions. Everyone goes through this, and that’s been beneficial. Gardner: How does this integrate into other things? You’ve already mentioned AribaPay. We’ve talked a little bit about analytics and visibility. The whole greater than the sum of the parts is where a lot of business services and those that avail themselves of cloud models can go. Where does this integrate into next? Where is the bundle? How do we make this a value-add? It’s very helpful for folks who are looking to get some technology to help them drive business process reengineering and to improve their business processes. Hofler: It’s just a natural bundle for anything that has anything to do with P2P, Ariba Collaborative Commerce, and Ariba Collaborative Finance. If you look at it as a process, classic process, everything ends up with an invoice to be paid. So we bundle it in when the invoice is a part of any type of business process re-engineering that a customer is doing. We point it out to them as a natural next progression when they are going there. Rick made the point earlier that it really drives the business case too. It’s very helpful for folks who are looking to get some technology to help them drive business process re-engineering and to improve their business processes. Sometimes, efficiency isn't enough in terms of savings to get that raised to the top of the project pile. Dynamic Discounting is a great way to add significant return on investment (ROI) to that business case, so that they can get their overall project approved. We’ve seen that happen time and time again. So it’s a great part of the bundle.